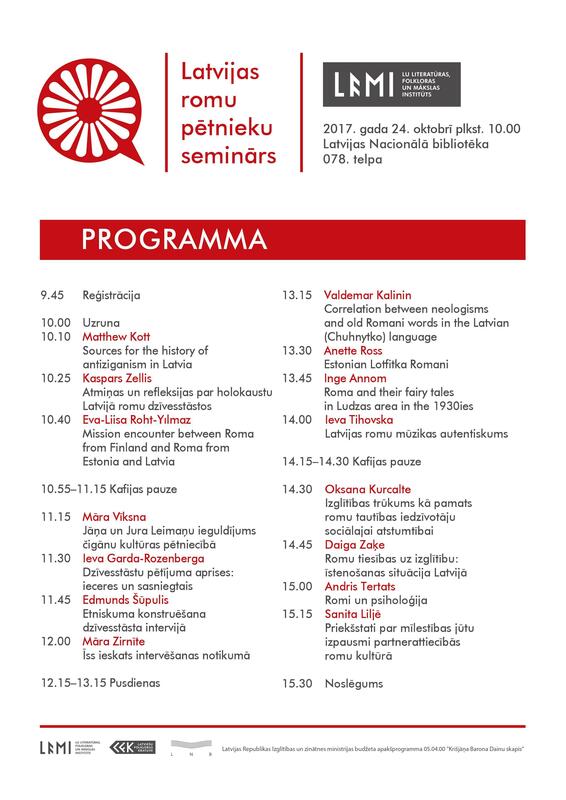 On 24 October at 10 am a seminar for researchers of Latvian Roma will take place at the Conference Centre of the National Library of Latvia (Riga, Mūkusalas street 3, room 078), organized by the Institute of Literature, Folklore and Art of the University of Latvia. It will be the first time in the history of Latvia when fifteen researchers from Latvia, Estonia, Sweden and Great Britain will come together to share their research in the fields of history, folkloristics, ethnomusicology, sociology, anthropology, pedagogy and psychology. 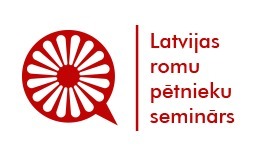 The aim of the seminar is to inform society about research on Latvian Roma, to increase the visibility of the research of Roma, and to contribute to communication and collaboration between researchers. The seminar is organized within the framework of the budget sub-programme No. 05.04.00 "Krišjāņa Barona Dainu skapis" (The Cabinet of Folksongs of Krišjānis Barons) of the Ministry of Education and science of the Republic of Latvia.